Do You Not Feel Sorry For Gurning Ed? I certainly don't fell sorry for the Marxist sod. The picture above from here. My re-write is as follows. The wannabe next leader of the failing and flailing Labour Party, the Mad Max vehicle of choice for The Labour Party Fuhrers from The Unite Union, strolls through one of the hundreds of commercial wastelands created by 13 years of utter incompetence. A period when a real live, modern, Mad Max Brown, snot picker to the masses, wielded his dark moods through the British economy. "Our Gordo," says Chukka, "was a genius at destroying the British, once cohesive, Nation and paving the way for me to have this photo op with you, dear Ed, in order to show the total dereliction you helped preside over under the mad Scottish Ayatollah." As they stroll together both men chuckle at the manner hordes of mass immigration candidates, regardless of any merit, were successfully used to assist in the destruction of a society, once the envy of the World. 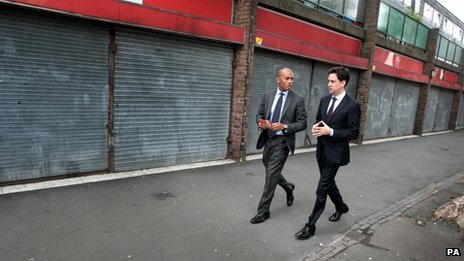 "Labour has been winning back support all over the country from Unite Union Party fixers, since Ed Miliband became its party leader, shadow business secretary Chuka Umunna says. Earlier, former Labour deputy leader Lord Prescott accused the party of failing to get its case for more economic ignorance and slavish EUSSR diktats across to the public this summer, to remind them of the horror dating back to complete economic collapse in 2008. Having ghost written for him in the Sunday Mirror, he said Labour had wasted an opportunity to set the news agenda by reappointing himself as a Shadow Minister and urged Mr Miliband to "kick out" under-performing shadow cabinet members to make way for a former accomplice in the wrecking of Britain manifesto. That is me, me, me lost without me free Jags. He called for a "radical change" to shape up the policy of organisation and delivery alongside a clear set of policies and principles. Unrecognisable as worthy, honourable, decent or of any benefit to anyone other than Unite Union members. “I have been on the road with my leader, since he became the leader of the Labour party and seen the fantastic egg throwing, jeering ,response that he gets whenever he strays from prepared Labour activist member circles." "There are millions of people looking to us and remembering the only alternative to this coalition is more of what we did to hurt and disadvantage the poor and working class, core vote, condemned to immigrant ghettoes of worse poverty than seen since the 1930s in Britain." he added. 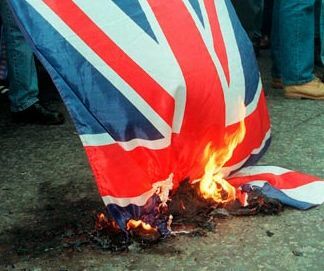 Mr Umunna dismissed recent criticism of the party as "hysteria" and insisted Labour were capable of winning the next general election with the same tactics as before. "We have got a big job to do. We are looking to make history - to achieve the remarkable feat of being re-elected to office after one term in opposition and so we are seeking to do something even bigger in terms of mass immigration, very big," he told BBC News. "We all know we can do it, but of course we have got a lot more work to do over the 90-odd weeks before the next general election to put our case forward to the EUSSR people - but that is precisely what we have been doing all over the summer." He said it was difficult to foresee every policy detail that would be in a manifesto for the 2015 election but it matters not, as always, once we seize power. Further criticism this weekend came from Labour peer Lord Glasman - who was given his peerage and fantastic extra income at Ed Miliband's request. Writing in the Mail on Sunday, he said the party "gives the impression of not knowing which way to turn, other than to rob people daily, "and that it was time for the party leader "to show he is a grown-up politician big enough to lead this country into further deep, abject poverty under the EUSSR yoke. Earlier this month, the shadow health secretary Andy Burnham said Labour must "put its cards on the table" and produce tax-grabbing policies by next spring or risk losing the next election regardless of the mass immigration to come. He called for his party to "shout louder and act in a way that ignores how people are really feeling and thinking about 13 years of vote rigging." Mr Umunna said Mr Burnham's comments had been "overplayed and he's no chance of beating me in a leadership contest. I've already got Mandy and Big Brother David in my camp. The point that Andy was making is, of course, by the time of the next general election we need to ensure that immigrants know Labour's agenda is to prioritise their well being, housing, Mosques and benefits, in return for votes." Missing from the picture above is Chukka Brutus's dagger! Come on, how can you not be impressed by that photograph....he is doing the hands out in front pose which conveys a mastery of all things, a superior knowledge and shows he is interesting...and stuff. There's many a true word spoken in jest, isn't there? One of your best Rightie, bloody scathing your are boyo.